For large areas of commercial paving you need reliable, versatile paving solutions that will ensure your development looks great for years to come. 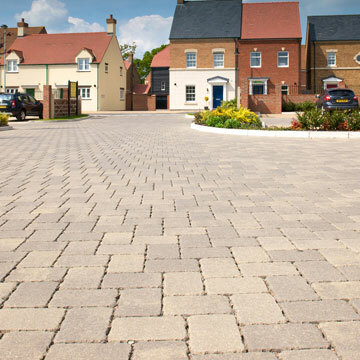 Block paving roadways, car-parks, or pedestrianised areas requires a diverse and comprehensive range that you can trust. 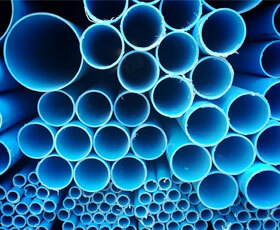 We are able to offer a complete range from the market-leading supplier, which looks great, helps the environment, manages rainwater run-off, and speeds up installation times. At Civils and Lintels we work with Marshalls to offer you their complete range of commercial paving including Priora, Tegula, and Keyblok. Commercial block paving ranges include blocks in varying sizes and colours with compatible kerbs and edging. Marshalls Myriad Priora – The Myriad Priora Permeable Block paving system combines outstanding SuDS drainage performance with the ability to design bespoke aesthetic projects. Blocks can be mixed and matched for several laying patterns, with the textured surface of exposed aggregates adding visual appeal. Patented Priora nibs in each block ensure full interlocking for maximum strength, regardless of the combination of units or laying orientation. Priora nibs provide 40% more interlock than standard blocks, aiding longevity and reducing maintenance requirements. Multi-gauge, multi-size options mean that Myriad paving stones can take the heaviest loads on the road, making it the perfect option for both pedestrian and heavily trafficked areas. Myriad Permeable Paving is available in a range of 4 complementary colours – Moonlight, Morning Light, Twilight and Midnight. Marshalls Tegula – This range of block paving is a multi-size, lightly weathered paving system, with the appearance of natural stone setts. It offers versatility to complement both conservation projects or enhance distinctive showpiece schemes. The Tegula range is suitable for any loading application in civil, retail, commercial and residential streetscapes. 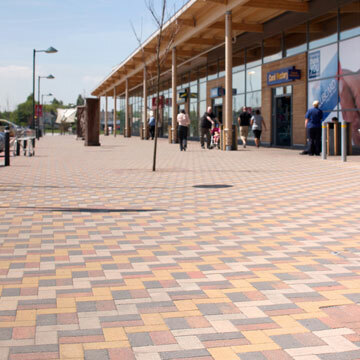 Marshalls Keyblok – Keyblok is the UK’s best-selling concrete block paving for urban spaces. The range offers 200 x 100mm rectangular block pavers in a choice of 60mm and 80mm thicknesses. Dependent on the Keyblok variant various colour options are available to accommodate all requirements, from Buff to Burnt Ochre. Keyblok Concrete Block Paving is a durable and long-lasting solution, designed to withstand anything up to the heaviest loading applications including airports, service yards and adopted highways. Standard Keyblok has chamfered edges to minimise spalling. 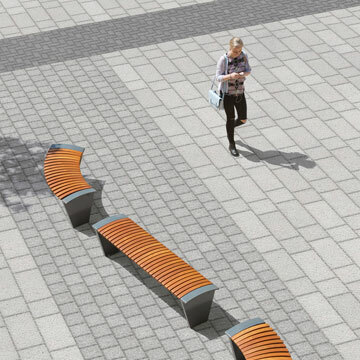 Pencil Edge Keyblok minimises the chamfer to provide a smoother, flatter surface to reduce noise and resistance in trafficked areas. Keyblok Vintage is a pre-weathered, lightly distressed block, ideal for complementing rural or rustic projects. To discuss your block paving needs for large or small projects, contact your local branch.